We have all of our drawings, bill of materials with cost, supplier information and ECNs. Information is shared with production, supply chain, customer service, and quality. Having all drawings, BoM's and supplier information located in a single location. Make it easier to add and remove users. All drawings, BOMs, and costs are all located in one place. Review: "Arena implementation better than my expectations!" We use Arena for all of our BOM management. It is used across the entire organization. All part numbers, bill of material revision control and engineering change orders are managed using Arena. Using Arena allows us to give all our employees visibility to changes and ensures all employees are using the latest revision of the files associated with any part number. Implementation of the product was fantastic. We worked closely with our solutions architect and he trained the team to understand the product fully. During the first part of the project, it was overwhelming learning all aspects of the product. We wondered why he could not just move all the information from our old system to Arena. As we moved through the process and the team had a better understanding of the product, it was apparent why Arena equips the user with the knowledge and wants them to be the experts in Arena. At the end of the process we were experts in the product and could fix issues ourselves and understand how we could better use Arena to manage our parts. Arena has not had any major bugs or issues with their software. The product works as documented and designed. The help videos and documents are very helpful and easy to access by anyone in our organization. They can help themselves, rather than relying on IT support. There were a few fields that we could not modify. They were standard fields that Arena would only allow specific data. It would have been nice to be able to modify the field and customize as we wished. We wish there was a shared user license. There are some users that might only use the product once per month. It would be nice if they did not need to hold their own user license to access information. When approving changes or requests, or completing a task in a project, it would be nice if the system automatically notified all down stream users with open items that the task was completed. I work for a contract manufacture and we use Arena for all changes to BOM. This is helpful for customer owned designs and our in house designs. Any company that needs to keep tight revision control of a product should use Arena. It also gives approved employees access to files and documents important to the product. Review: "Arena is a powerful tool for our business"
We store all of our PLM data in Arena. We control our BOMs and Drawings with ECOs and use the approval process to get approval from stakeholders in 3 different countries. We have quality data and use it for storing all technical reports. Our migration from Agile and Parts and vendors was complex, but well supported. The transition team met with us weekly and responded quickly to our concerns and issues. Our experience may have been extreme, but Arena stood by us and helped us navigate many tough situations. Administering and reconfiguring the database is very straightforward and quick. I love the fact that an Engineer can come to me and say, "I need this new parameter for a capacitor" and I can resolve his request in 2 minutes. Extracting reports from the Quality world is very awkward. Because the details are stored with the field name in a long list, there should be CROSSTAB QUERY functionality built in to Arena that will allow me to extract data in a tabular format instead of a long list of different fields and data. [I currently have to take the output from Arena and put it into MS Access where I perform a CROSSTAB QUERY to reformat the data to a grid with each field in a different column. I would really like to see the functionality (well controlled) to allow Attributes to be DECOUPLED from Revisions, like the recent addition of Cost. I would like to be able to have an Inventory qty attribute for each of my factories, so that the Engineers have some sense of what is on hand when obsoleting a part. It goes beyond that and My intent is to have weekly uploads (refreshes) of Inventory data from the ERP systems used in our different facilities into Arena, where more people in the organization have access. Arena Review: "Helped us Improve our Change Control processes tremendously!" Arena is being used primarily by our Product Development/Engineering organization for document and product design change control. We do have other read-only users throughout the organization (especially in Customer Service) that can access documents by clicking on Arena smart links that are copied into other applications, such as into our ERP system. We also have an API integration running between Arena and our ERP system NetSuite, to assist in automatically creating items and BOMs in NetSuite as they are released or revised from Arena. On many screens, there are multiple options to do other things, such as attach items just created to requests or changes. Each screen has a lot of buttons or commands that can be executed from there, rather than going back to another screen to start doing something else. The Bill of Material expand/collapse options are very useful, and the ability to see at a glance whether items have other pending changes is great. It helps us either consolidate several changes or process them in a specific order as may be appropriate. The request and change worlds are easy to use and configure. We have reduced our engineering change cycle time using these features. 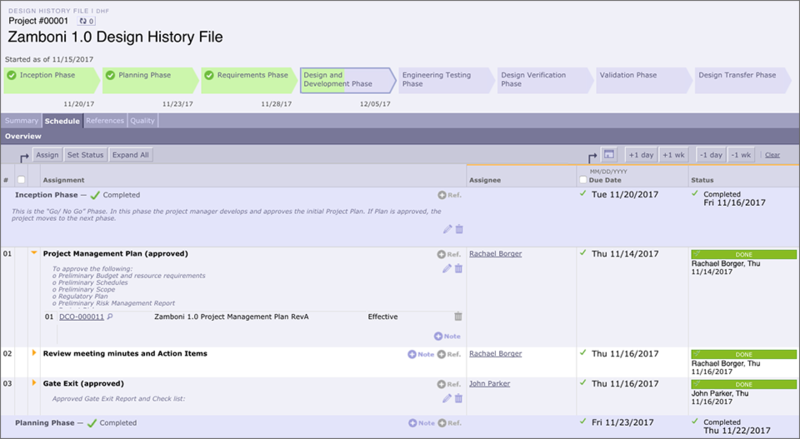 The Reporting module is seriously limited, and really only allows the reporting of rather basic information and from only one module at a time (for example, I have to pull data separately from the requests and then the changes module), then link resulting spreadsheets together to get overall cycle times for our engineering change control process. The Help system should be improved with more details. For example, a recent new feature of using multi-select attributes should be explained in the help section and examples described on how to import data to multi-select attributes. For PDX exports of changes, the FILTER option is still not available. This is very valuable to my company to allow us to filter out files/items contained in changes that are for internal consumption only, that we don't want to share with external parties. The API integration capability is under considerable scrutiny at my company. We deployed it to integrate with our ERP system and it has been a disappointment, to say the least. Not reliable. It takes too long before data transfer can be verified. We are currently considering other options. I think Arena is better suited to smaller organizations. I'm not sure I consider it truly "industrial strength". The multi-user aspect is great if one can control and monitor each individual's data input. If not, best to restrict full user access to a limited number of individuals, or your data is going to be a mess. Review: "Arena is a great place to start, and possibly the last place you need to go"
We are a large company with multiple Business Units, each business unit either uses Arena or will be using Arena. Each business unit has some different business problems being addressed by Arena. Some utilize the Quality module to address there quality process and data collection. Most use Item / BOM / Sourcing / and Change management to address data accuracy, and the complete Data lifecycle management. As well as, having ONE true data source that is easy to access ALL product data and change history in one location. We also integrate our Arena system to Oracle R12 EBS. Arena is a much more user friendly data source. Administrator - Settings: I manage multiple workspaces for several business units. I would like to be able to go into Settings and make changes to multiple workspaces, by using the "Change Workspace" functionality in Settings. However, that does not work properly. I am forced to "Return"to the active workspace, then choose another Workspace, then go back to Settings (for each workspace I need to make changes in). This is very cumbersome and inefficient when needing to make changes to multiple workspaces. History - It would be nice to see the actual history of "Who" has made modifications to a Unreleased and Working Revision. Currently, it only shows the last person and not a running log. I think Arena is well suited for small to smaller midsize companies. However, for larger companies, I'm on the fence about weather Arena is really the right choice. I think there are some definite modifications to usability, for both end user and Admin. that need to happen to accommodate larger mid size, and large companies. Review: "Arena is great and the organization is easy to work with"
We use Arena as our DHF and it is used by everyone in our organization. We use this to generate all new part numbers, all BOMS, all ECOs, and used for documents from training on QS to documentation to assemble our products and used by select vendors to build assemblies for us. Arena's access policies do a very good job of limiting what my users can see and do very effectively. Arena does a very good job of communicating changes that are going to occur in their software and when necessary online training for each new release. Arena's customer success personnel are very helpful and they get respond back to you in a very timely manner (at least our company's contact does). Although Arena has vendor access it is at times very time consuming to set up access to all the parts that they can see (large new assemblies in particular). When very small errors occur during a change (ones that wouldn't affect the content that was approved by the approval group) it would be nice to be able to have a super user that can correct these. All items and fields on an ECO are locked down once a change is routed for approval. It would be nice to have some fields on a change available to edit for users on the approval group and have the materials disposition open to update these for the approval group's area of interest. These changes would also need to be able to have the approval group a tiered concept vs just one whole one. Arena is well suited for technical users as documentation is available in the cloud and do not require an expensive PC to access but can use a tablet or even a mobile phone. I don't believe that small companies that have no system administrator type personnel would be able to configure the tool to get the most out of it. 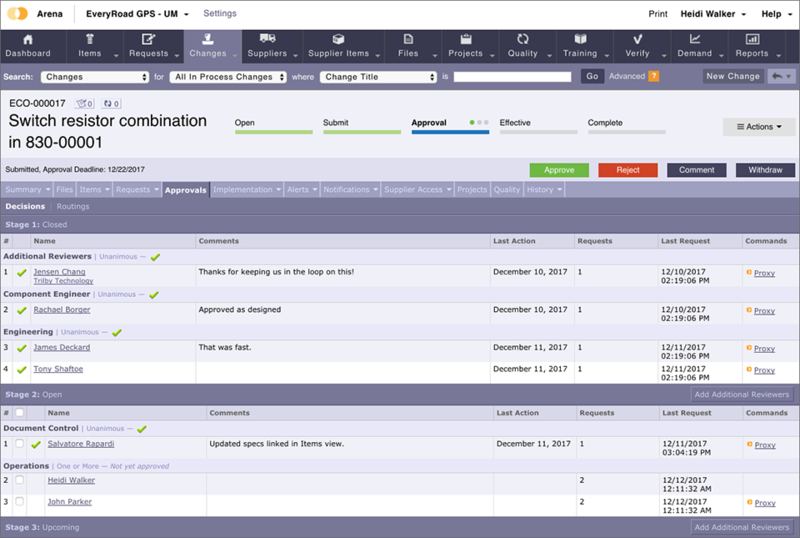 Review: "Arena PLM System Feedback For Perspective Users"
Arena is currently used as hardware product lifecycle management tracking system. We use Arena to track hardware design, development, manufacturing builds, tests and monitor quality processes. Arena allow us to collaborate with suppliers and vendors to manage material. We also use it to manage products' certifications/compliance documentation. Data is stored on the Cloud. Data retrieving is responsive and convenient. One of the major features an account admin should have is the ability to perform edit during ECO/ECR change review. It is a risk but the account admin should have the ability to determine the risk and update without rejecting the ECO in review with minor changes. Core default attributes are so generic and cannot be modified (renamed) to complement new custom attributes. Limit number of characters for custom attributes. I believe currently the maximum is 1000 characters. In several areas, the Arena system lacks the tracking history of activities of all Arena users. 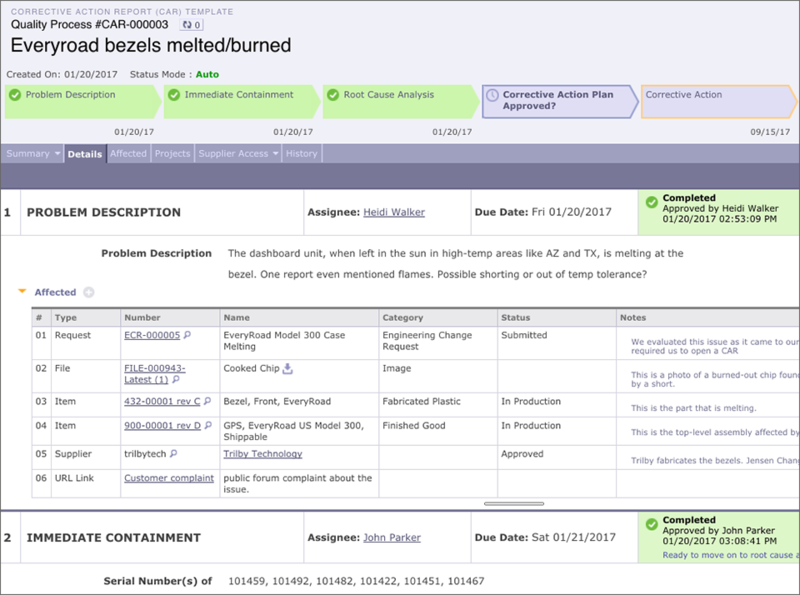 Examples: changes to requests and changes (ECR/ECO/FSR), users submit comments, emails notifications from analysts to suppliers, etc. Arena is well suited for small and mid-size companies. It is very responsive and requires low maintenance from account administration perspective. An area where Arena needs to improve is the ability to track detail history of all activities (items, requests, changes, quality, comments, communications between users, analysts, admins). This is a critical function needed for a solid PLM system. User Review: "Arena - CM to Grow With"
Arena is used across our entire company for engineering and product documentation CM control and supplier revision control coordination. Comprehensive - We have not yet come across an issue where Arena did not have a solution. Flexible - We are able to build custom Attributes into our records to match our execution model. UI is not intuitive - User flow is not intuitive or similar to comparative tools or standardized tools. User interaction buttons are not consistent in location and descriptions are not effective in conveying interaction effects. Having said that, once you get past the learning curve the flow/interaction does make sense and becomes less frustrating. Very well suited for CM/Revision control - file attachment capability and Quality record flow/control is above par. Suitable for engineering control of documentation/BOMs and coordination with Suppliers on revisions and ECs. Not so great at integration with older ERP systems but capable using intermediate standardized tools such as XLS import/export. Review: "Arena has been great fit for our growing company"
We have used Arena since 2002... first in the US. It is now used in multiple sites round the globe... in the US, Mexico, China, Thailand, India, UK, Slovakia, Czech, etc. It is our primary tool to manage PLM, engineering changes, sharing of data with our suppliers, quality, and program management. Integration of suppliers, from around the world, into our processes. Project management - we all have the "same version of the truth" for the status of a project. Arena is great for small to middle size companies, especially ones that are growing. It is very easy to roll out to an organization, because it is, and has always been, a cloud-based solution. For larger companies who desire a single system, that starts with native CAD, through PLM, to ERP, there might be a desire to consider alternative systems. With that said, those "single systems" may be very pricey. User Review: "Relatively New Arena User's Experience"
Arena is used mainly for corroboration between engineering and manufacturing organizations for the fabrication of items that we design. Keeping a snapshot of a particular assembly of parts at a given moment in time is the main function that we rely on from Arena. Navigation is still a task that requires power-user level of understanding. I would love a simpler way to see a clearer picture of my products, perhaps even a top-down diagram for each product, and an easy way to find the top level of each. Arena is well suited to configuration management, where a detailed design needs to be preserved and communicated for reproduction. It represents a fair amount of overhead compared to a simpler system such as keeping versions in Dropbox or SVN, but presents enough advantages that I would consider it worth the extra effort. I like the ability to add processes to the work flow which is the final deal-maker for using Arena over a simpler solution. User Review: "Arena, it does more than I need." It is used by a single team, the engineering team, to manage BOMs and AVLs. The rest of the business uses Windchill for document management and as a pseudo-PLM. QAD and SAP are used as ERP. It is well suited for and Electronics BOM management. It tries to be the entire PLM solution and, while that works for some, I just need a BOM manager. I set up Arena so that we have a centralized area to store and control documents for quality documents, drawings, operation documents, and supplier information. It is currently being used across the whole organization (R&D, operations, quality, and supply chain). The business problem that it addresses is keeping documents updated and aligned. There is only 1 current document and approved document. Any other document is not valid unless uploaded and approved in Arena. Also, for supply chain, the item master is very useful in controlling Bill of Materials for each product when set up correctly. Data can easily be exported and reviewed. Controlling approved documents to make sure everyone uses the most current approved file. Takes a long time to set up. Must enter BOM in 1 item at a time. Don't have full control. Must use Arena support to control back end. If you're working with suppliers and contractors, there can be many versions of 1 document. Arena can control that by sharing 1 approved document to everyone. That way everyone works off the most current and approved version. Review: "Arena, The Essential Electronic Design Assistant"
1. Maintaining the approved vendor list for each component. 2. Generating BOM on demand by directly interface with our CAD system. 3. Collaborating design effort between different engineering departments for optimal design cycle. 4. Sharing information between cross-functional teams for project planning/executing with efficiency. Providing means of generating accurate PCBA BOMs from our CAD system. Keeping track of our electronic component approved vendor list. We have yet figure out on how to make BOM item numbers non-consecutive, e.g. 5, 10, 15, 20 vs. 1, 2, 3, 4, due to the dynamics of our business requirement. The skipping of item numbers allows space to add new items without reassigning item numbers for existing components therefore minimizing document/drawing update. It is well suited for interface with Mentor Graphics PADS software in terms of maintaining component database for BOM generation that requires minimal effort. "Small company review of Arena"
Search capabilities are robust. If you know how to use them, you can locate anything. Maybe I just haven't discovered it, but I want to be able to capture the cost by supplier for each item, and have it roll up to the top level total cost of goods for a finished product. It is too easy to have duplication of parts or files which causes clutter. A person has to know exactly how to find something to add to a BOM. It is too easy to conduct a search poorly due to lack of knowledge, assume the part/file doesn't exist, then create duplicates for no reason. Email messages that deploy to Approvers, etc. are rudimentary and not easy to read. It is a turn off for people who expect HTML, visually pleasing email messages. If not easy, familiar to read, they will not spur quick action. Arena is well suited for companies that can organize their information to build a good system for themselves. But you need internal people who understand how to build it in a way that works for the team, how they work and the business. It is best for keeping track of product parts/versions and for those who utilize data/text to organize themselves. It is not well suited for people who need visuals to understand the same info. Arena Review: "Great Product - Needs Polishing"
We are using it in the manufacturing control process of ME and EE. Syncing between CMs in Asia and our ME and EE departments here in the States. Documentation of rev control and file management. I'd like to have control of what columns I see and the order in which they are arranged. For instance, on a BOM the item PN and description are next to each other which is standard but the item quantity is on the opposite side of the screen. The PN and quantity are the most important pieces of data on the screen so it is not useful to have them one foot apart. Most of my users have complained about this. Reports could be easier to use and more dynamic. This may be my inexperience with them but I and my team have a lot of trouble getting the report to pull the correct data. Arena is a fantastic tool when compared to Excel BOM and file management. I am very happy to have made the switch but as stated in the previous two questions it needs a little polishing of its already implemented features. I'd like to see a more dynamic user interface. This is a great first tool for a startup company which I'd like to see grow into the last tool we need. Arena is being used across the entire organization including field operations and select external vendor partners to communicate engineering and documentation changes. Our organization has multiple locations across the country and Arena (as a cloud PLM) provides for an easy and very effective means of communication. One of the benefits of using Arena is that it is a cloud based PLM system which allows you to access it from anywhere when needed and is supported by different devices such as an iPhone or iPad. Another benefit of using Arena is its ease of use. Arena is intuitive and any new user should be able to learn his/her way around the system after learning some of the basic commands and navigation features. Arena is also a flexible system with respect to revision control. 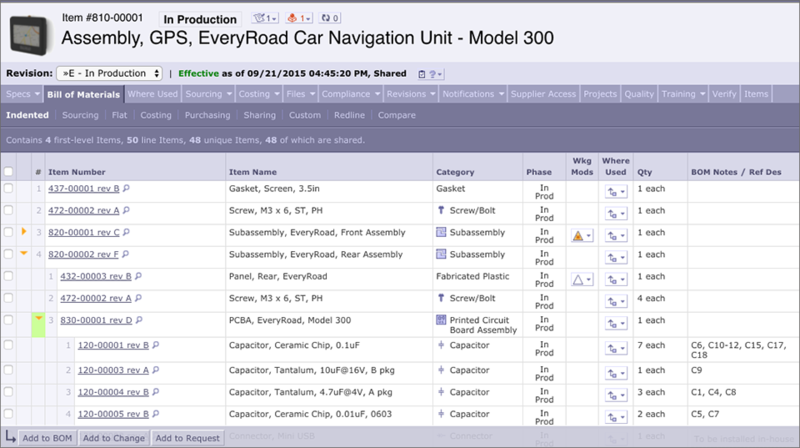 The user is able to manage revision control as needed for a part or assembly and is not automatically set as with other PLM systems. I have no examples to write about at this time. I think Arena is well suited for small to medium sized companies looking for an economical PLM solution. User Review: "Arena - a pretty good tool." We use Arena to document our parts & processes, primarily in the engineering area. We are including more departments to encompass the design, validation and production functions, as well. We have recently implemented forms in the Quality module to track our design/validation processes. Historically, this has just been a parts & process repository for the engineering team. We can now link our quality process results to parts. This helps when looking at revisions and releases. Arena is flexible in allowing creation of items and naming conventions. The quality module, while still a little clumsy, provides a good place for creation of forms and procedures. Arena is not the most intuitive, especially where users are promoting a request - the option to "raise an issue" is not easily seen or discerned, causing users to simply comment when they really mean to raise an issue. This process is a little clumsy. Adding a document to a signed-off quality process is either clumsy (need to re-validate or do proxy validation after re-opening the process), or sneaky, by going in and replacing the document associated with the file number. Sometimes, we just need to add a forgotten document. The new requirements module seems to be very much like the MasterControl card system, but it does add more functionality that is needed for a regulated environment. I'd need to actually use to to determine if it would fill in the "holes" which would have prevented it from being well-suited to a regulated industry where design controls, traceability and compliance to requirements are critical to production records. Tracking of production lots does not seem to be easily done in the existing modules. User Review: "Arena Sets Me Free!" Currently used for Engineering only for BOM and drawing control. Plans to implement across multiple departments have been examined but not yet accomplished due to evolving priorities. Primarily, Arena has addressed the issue of efficiently managing multiple configurations, while referencing a single drawing. Our previous system compelled us to fully document tabulations causing massive redundancies. Allows use of alpha-numeric part numbers, allowing product structures to be built top down. Ability to assign multiple suppliers to single component or SKU as needed. A bit complex, it seems to me Arena was designed for PCBA's, but it does for us quite nicely. Arena logs out automatically, if there is a setting for that I have yet to find it. Arena is well suited for most product lifecycle management scenarios, it is difficult to describe any inappropriate scenario as Arena's flexibility helps to adjust to most requirements. Review: "Arena is a great, easy-to-use PLM system." Being used as a PLM system, mostly for engineering and operations. It's setup for the entire organization but few outside of engineering or operations use the system. Arena helps organize the release and change of our products, which are comprised of over 700 parts. Ability to save a lot of information in a central location. Flexibility on how to organize information. Sometimes the menu-driven structure requires too many steps and layers, making data entry time consuming or hard to find. Customer service could be better. Last time we requested tech support, our sales representative seemed somewhat impatient and uncooperative. Afterwards, we have been avoiding customer support. Training workspace should have a large watermark on the screen or something else that makes it evident that you are not working in the official work space. On a few occasions, colleagues, including myself, accidentally signed into training work space without realizing it. I was afraid we lost months of important data. An internal,network backup. The cloud based system is usually nice, but we lose access to important i nformation during internet outages. We lose internet about 2 hours a week. It’s well organized and intuitive as PLM system. User Review: "ARENA - best PLM system"
We use Arena for the whole company. Most everything is now electronic since switching to Arena. BOMs, specs, design history file documents (test reports, software docs, etc.). The entire company has instant access to the documents. We easily provide our vendors with BOMs, etc for purchases. ECO review is seamless, our ECO turn around time has decreased. In addition, our customers want to approve certain documents and we can easily provide them (via license) access to certain documents. We no longer have to put a package together to send via email or have them come into our office for signature (as we used to with the hard copy/manual system). BOMs - very organized, you can see changes from previous BOMs (via the redline system). Parts are linked to their sources, where used, etc. Attributes and search - we can call up Design history files for a single customer. During 3rd party audits, our documents are right there, no searching through binders. Training program - with the quiz at the end - we now have that quality requirement of "verification of effectiveness." Customer service is outstanding. Any time I have a question, a response is provided usually within 4 hours! The ticket process - I have not tried it enough to comment on it too much, but when I did try it, it seemed very tedious. Arena Review: "Good for a permanent solution"
Arena is used as our PLM system for development and release of our products. It is used by our engineering, product management, and quality departments to manage the product lifecycle and to document approvals for release. It also contains our technical documents and manuals for each revision. We use a custom solution to integrate Arena into our Netsuite ERP system. Arena makes it easy to document the product development. 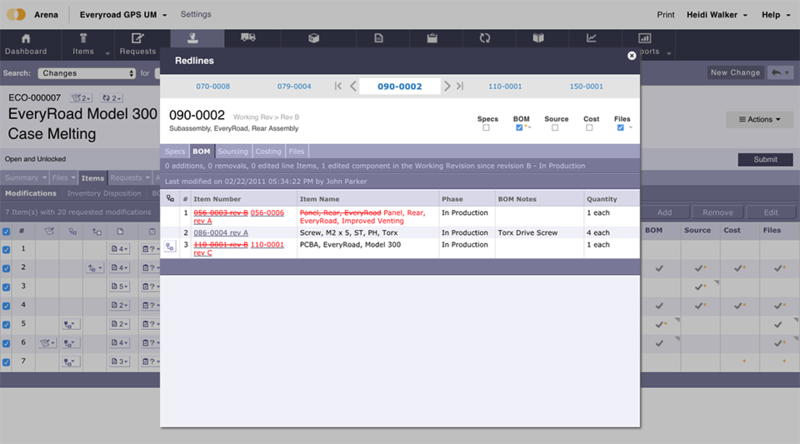 Users can easily look up revision information and the system is user-friendly. Submitting approvals is simple and email notifications are well implemented. System comes with reports and can be customized to meet the user's needs. Exporting from Arena is extremely complicated. Online help does not describe the process. Even with assistance from the Arena support, it is still difficult to export a list of all released BOM information. The format of the export is not configurable, there are no field delimiters in CSV, and the export requires modification as the items are listed in order, but do not have any reference to the parent in the child lines. Support does not have any more tools than you have. Therefore, if you cannot do it using Arena's interface, it cannot be done. Support can only help to do what is allowed by the interface. No way to delete anything. Ever. You cannot have support do this either, because they do not have any other tools than what you have. Arena would be very good for a company that develops one product line. If you develop several, you will need multiple instances. Our company sold off a product line and there is no way to remove history. So the previous company will ALWAYS have the history until the date of separation. The new company may take several weeks to get a copy of the data that it needs. If we did not split, Arena would work very well, but if there is a change of this type, Arena is not a good solution. Do not plan to get your data out of Arena. Support cannot access the database directly. Once you are there, you will always be there. User Review: "Arena Solutions, A Great PLM"
Arena has been a great business solution for us for creating and tracking all aspects of our products during and after the R&D stage. ECO and BOM structure and control are far superior to our previous PLM. We've had zero issues with implementing and using Arena as our PLM solution. Before Arena, we had a very hard time tracking certain questions and or issues that would arise during the R&D period of product development. With Arena, we can document and retrace every stage of development leaving no unanswered questions during an otherwise critical stage of business. Great security control and with limited vendor access. The ECO signature control is a really great feature. The only thing I can see as an issue for us personally would be the ability to set our password and personally control when we should or should not change it. No other issues that I can think of. If your company is developing any kind of products, I would recommend Arena for tracking all your work and development process. I can't think of a single reason not to have this or at least some type of PLM system in place. You'll find very quickly that spreadsheets, no matter how intricate, will fall short of the insight you could have with Arena Solutions. Arena is currently being used as a united document control platform for different divisions across the country. Future plans include the incorporation of quality tracking. Being a cloud-based system, it allows access without any special setup. Automated email reminders for ECO approvals and projects tasks. Copying projects that are used repetitively would be greatly appreciated. Currently using a template but a template only gets you so far. Without Arena being implemented within the past year we would not have passed on our first attempt for ISO certification. Arena Review: "Easy to use, customize-able, collaboration friendly"
We currently use it for all product documentation and the release of it to our contract manufacturing vendors. we use the request world as the collaboration and approval and then build to ECO as a notification. The request summary should be as big as the changes summary, the notes on the items and the participate don't copy over from the request when you build the change, and you should be able to have your from/to condition in this screen as well. USERS: Engineering, Supply Chain, Manufacturing, Product Quality, Product Management, Marketing, Software/Firmware. If your suppliers use Arena this is an easy way to communicate product documentation and changes . You can customize to fit within your organization. The request summary should be as big as the changes summary. The notes on the items and the participate don't copy over from the request when you build the change and they should. You should be able to have your revision from to condition in the request screen as well. Arena makes it hard to do clean-up projects, we need to be able to edit in bulk. Example if I have a category cable and I want all my item names to have CABLE, in the item name. It's really hard to make a change like this in bulk unless I export out and import in, and then do a change to implement. And then if any working mods are out there, mistakes happen. I have worked with systems that allowed level of admins be able to make changes without this issue. I would like the option to set a standard to have all item names, etc., to be all caps regardless of how it is entered. How can I make this happen without touching every freaking part and having to do a change? Exchange needs help. The idea is great but, it hasn't worked for me without a glitch. if you are sending to multiple companies you can't hide them from each other without doing double the work. Notification of any modified items for admins would be awesome, especially when you have 120 users with updating capabilities. Multiple work spaces! We need to have one master and be able to pick and choose what items get put in what workspace(s). Everyone complains about the amount of emails that they get from Arena. I know this is a hard one. My engineering team would like to see a engineering module created. I have put some thought into this but it would force me to do double the work. Review: "Arena, the solution to product lifecycle management and quality management systems"
Arena is currently used for product data management and change management. At Mimosa, we have offices outside the US and Arena is used to collaborate with Mimosa internal users and our supply chain partners. New product introduction and product lifecycle management allows our engineering group to develop new products in the planning phase and to send designs for supplier review, the first article builds and quoting to support high volume production. Change management with internal users for review and approval of NPI release and sustaining product design changes. The ability to connect with suppliers is critical to ensure they are building to the most current product records. It is fantastic for driving collaboration with internal departments, and supply chain partners that are predictable, repeatable, and then we build a quality product. I would like the ability to create and manage workflows not only for internal review and sign-off but after release workflows for supplier acknowledgment and implementation status reporting that enable the supply change to sign-off when a change is received and fully implemented. When working on supplier access, Access Privileges, it would be great if you can input view, approve, and edit implementation permissions in bulk, not one user at a time. In my role, I primarily work with start-up companies to build the foundation for new product introduction, change management, and quality management systems. Building class codes for part number methodologies, establishing change categories that will scale for today and future needs of the company. Arena is well suited for systems integration to other infrastructure such as NetSuite, Salesforce and 3PGL system integration. Arena Solutions aims to help you solve problems with product realization processes. The company's unified PLM and QMS solutions help companies design, produce, and improve innovative products quickly. Product processes involve multiple teams, locations, partners, suppliers, and vendors. These dispersed teams must work from the same design, ensure compliance, stay on budget, and respond to customer demands. Arena Solutions aims to support this process. One thousand complex high-tech electronics and medical device customers around the world use Arena Solutions to bring electrical, mechanical, and software designs together into a single solution. Arena enables every participant throughout the product realization process, from design to manufacturing, to work together–increasing visibility and traceability. The vendor says this accelerates new product development (NPD) and new product introduction (NPI) by streamlining processes, automating review cycles, and reducing errors to increase profitability. Arena Solutions promises to help your internal teams and external partners accelerate new product development while reducing expenses, increasing profitability, and speeding the time to market. Arena PLM links new product development, quality activities, and change processes to the complete product record. With Arena, your entire team and supply chain partners can collaborate on everything product from design to sustaining activities. Arena’s product-centric quality management system (QMS) software enables medical device manufacturers to deliver safe and compliance products to market fast. By connecting quality management processes to the product record, we help distributed teams improve visibility and traceability throughout the entire product lifecycle. Arena offers flexible packages to fit your team’s needs ensuring you get the right capabilities to meet your specific business requirements so you never overpay. Our cloud-based PLM and QMS solutions include role-based subscriptions to meet your diverse team needs with the necessary security to protect your product information. Our fixed-fee QuickStart™ implementations help us deploy rapidly to provide the lowest total cost of ownership.